We would like to share our new website with you! We have improved the look on the desktop and mobile. Have a look when you can and let us know what you think! It's easier than ever to reserve your trip through the website, just look for the Book Trip button. We have Winter specials January - March 15th. 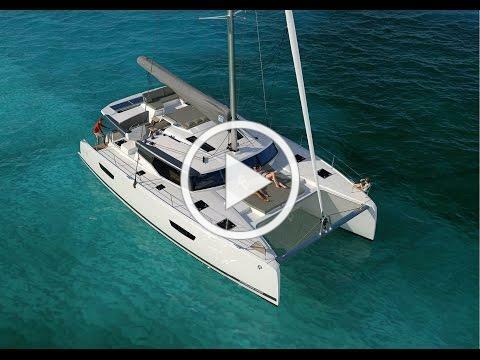 Come see us in the Vacation Basin area and step aboard a Jeanneau Monohull or Fountaine Pajot Cat!!! In October sailors from around the globe will gather on miles of docks in beautiful downtown historic Annapolis for the 2018 United States Sailboat Show. This is an internationally acclaimed sailboat show, recognized as the world's largest and most prestigious sailboat show. A 7 night charter, February 9-16th with ASA classes 101 to 104. Includes provisions for the week and ASA certification 101-104. This trip is sold by the cabin. It will feature the historical Guy Fawkes Competition, where judging of the Best Guy and Dancing of the Guy will be the highlight of the night. Those in attendance will also have the opportunity to feast on delicious Bahamian food and drinks and gather around a huge bonfire with family and friends. Funds raised from this event will assist the Annual Island Roots Heritage Festival that is held the first weekend in May.